A native of Owatonna, Minnesota, Trent Jacobs received his bachelor's degree from Lawrence University in Appleton, Wisconsin and completed MMA and DMA degrees from the University of Illinois. His DMA dissertation is titled "Elements of Jazz in Bassoon Solo Literature." Trent has been a regular performer with nearly every performing group in East-Central Illinois and in the past has played with several groups in the Memphis area, the Green Bay Symphony and the Orchestra at the Universidad Autonoma de Nuevo Leon in Monterrey, Mexico. 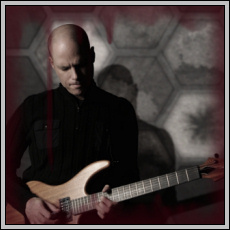 Trent's musical interests are unique and varied, having a history of jazz guitar and barbershop quartet singing as well as a strong commitment to the performance of contemporary music. 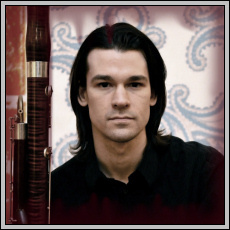 Trent is an innovator on the bassoon, expanding the possibilities of electric bassoon amplification and effects processing as the creator of the "Little-Jake" electric bassoon pickup, and actively pursuing non-standard performance opportunities to use these innovations. Trent's day job is bassoon specialist and the school bid coordinator at Midwest Musical Imports in Minneapolis. Born in Boston, Massachusetts, Rick now lives in St. Paul, Minnesota. Rick began playing the guitar at age 11 and was playing professionally at age 15, and teaching professionally at age 16. Rick has played over 3,000 Rock, Blues, Jazz and Funk gigs throughout parts of the US, Mexico, the Caribbean and Cuba for crowds of up to 10,000 people. Alan 'Al' Vorse was born in West Palm Beach, Florida and grew up in Ohio before moving to Bloomington, Minnesota in 1989. The popular music of the 80s and his parents' record collection inspired him to want to play music, starting with trombone in 5th grade followed by a 2-year stint on guitar. Al started playing bass after a high school band director asked him to consider playing in Jazz Band 3, but decided to devote his life to the instrument after upperclassmen started recruiting him to play in their bands. Initially inspired by Geddy Lee of Rush, it was his mother's 60s soul records and his friend Brandon Howard, an aspiring jazz keyboardist, that helped shape him musically. After graduating, he studied theory at Normandale Community College in Bloomington and Allegheny College in Pittsburgh. Upon returning to Minneapolis in 1995, he has studied privately with local bassists Anthony Cox, Chris Bates, Jim Anton and Ron Evaniuk. 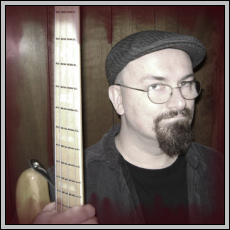 Al has played in many local rock, R&B and roots music groups since 1995. 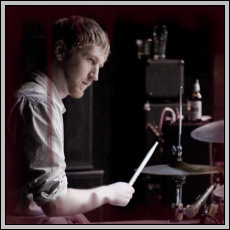 He is currently a member of Thomas Kivi and The Immigrants along with Art For Hunting drummer Dan DeMuth. He teaches privately at the St. Paul Guitar Studio, which is run by Art For Hunting guitarist Rick Stack. He is also the Receiving/Warehouse Manager at Groth Music Company in Bloomington. Al's influences run the gamut from studio bass legend Chuck Rainey to the iconoclastic Mick Karn. He also cites non-bassists such as guitarists Nels Cline and Vernon Reid, multi-reedist Eric Dolphy and non-musicians such as painter Jackson Pollock and basketball legend Bill Russell.